Nesting season is coming. 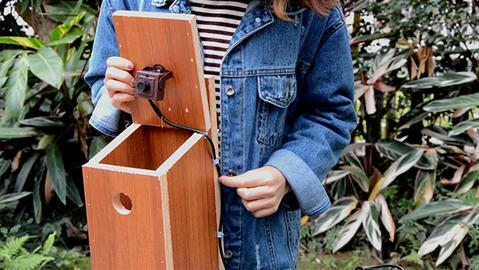 It will be great to add a bird box camera inside your birdhouse. You can discover all the mysteries in the tiny box without disturbing the birds. 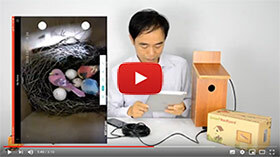 This article shows you how to add a wireless bird box camera to your bird house. Wireless bird box camera still requires external power but it did eliminate the wiring back to your TV over the wall. 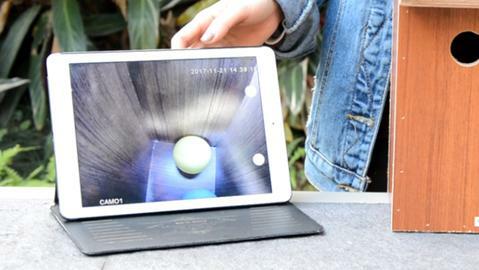 Thanks to the WiFi technology, now you can simple access the bird box camera with your mobile phone even when you are traveling around cities. 1.Verify the WiFi signal coverage. 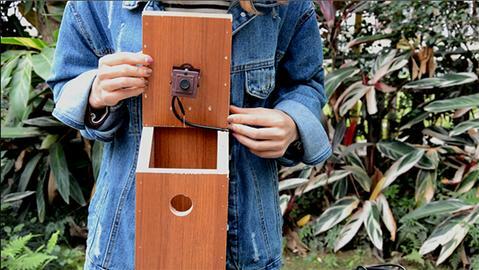 The WiFi bird box camera works exactly the same as your mobile phone. It links to your home network using the WiFi technology. 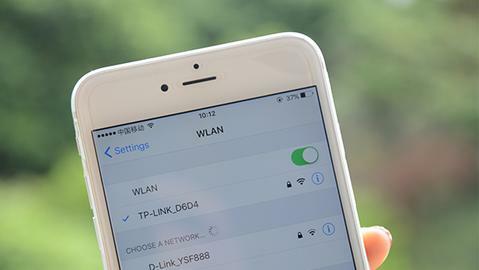 Test the WiFi signal around the installation place with your mobile phone. If the signal always stays goods level, it is ready to use WiFi bird box camera, otherwise, you may need to find the way to boost up the WiFi coverage or choose PoE IP bird box camera instead. 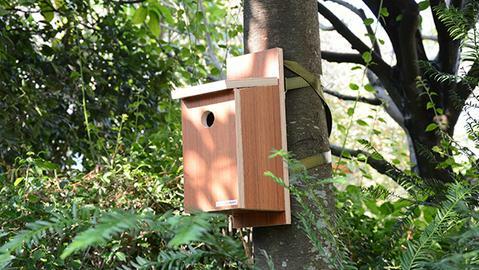 2.Install bird box camera to the top of your birdhouse. 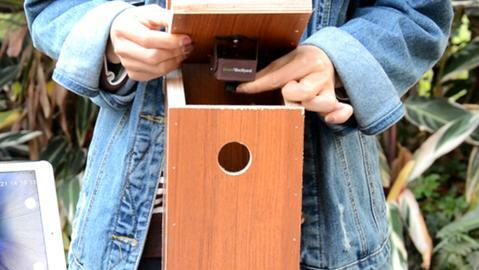 Use the screws to fix the bird box camera to the top of the birdhouse. Most of the bird box camera is not waterproof. You need to evaluate whether the rain could lead back to the bird box camera or not. 3.Use clips to keep the cabling clean. Use the clips to keep the cable to the birdhouse. Make the notch on edge of the birdhouse for the cable let out. 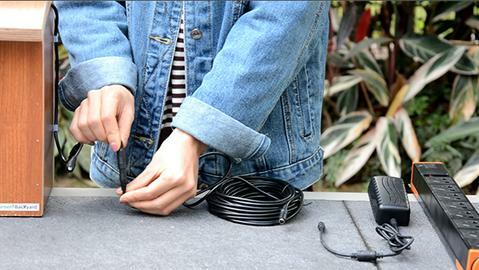 Connect the extension cable to the pigtail of the bird box camera. Keep the connection straight down, the rain will not run into it. Without protecting the connection properly, it could cause more than 60% defect of the bird box camera outdoor. Connect the other side of the extension cable to the power adaptor and plug the adaptor to the main. 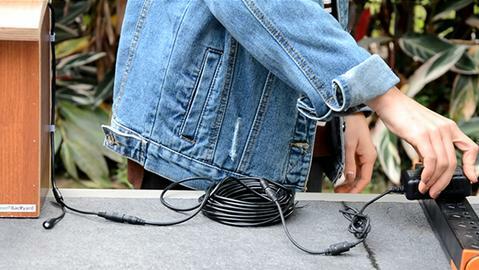 You may use conduit to protect the cable if you want your bird box camera setup permanent. Install a free app, connect the camera to your iPad or mobile phone. Now you can view the live on your mobile phone. 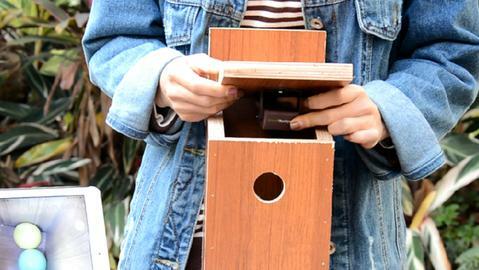 7.Adjust the shooting angle to cover the birdhouse properly. Fasten the screws tightly on both camera and bracket before you try to adjust the shooting angle. Check the image on your mobile phone, if the bird box camera doesn’t stay on the best focus, adjust the lens generally. This is the trick part. You can move the lens forward clockwise and counterclockwise to locate the best focus. Remember set up the bird box camera properly before the birds enter your birdhouse.